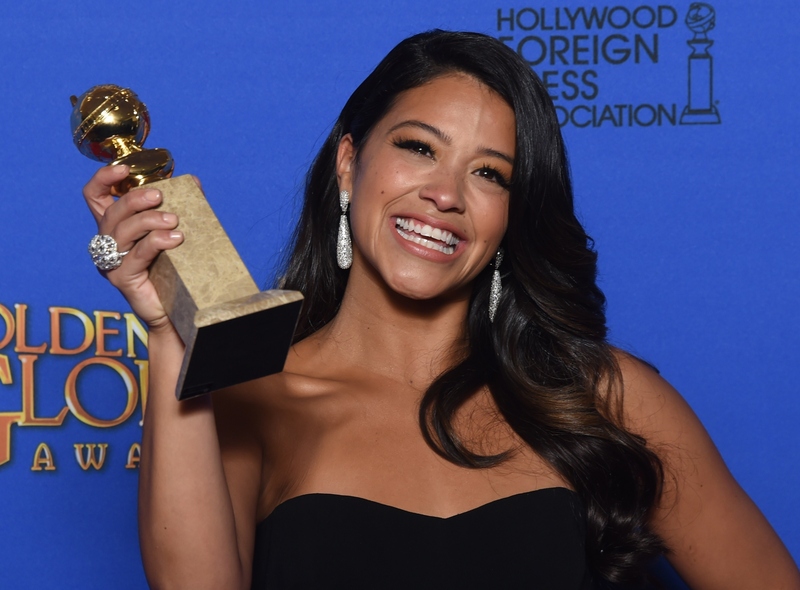 Following up a year full of successes, including winning a Golden Globes award, Jane The Virgin star Gina Rodriguez is publishing a book! Rodriguez announced the book deal with Simon & Schuster on Twitter Tuesday afternoon. Titled after part of her inspiring Golden Globes acceptance speech, the book will be called I Can And I Will: Tools My Daddy Gave Me. Which I LOVE. In the speech, Rodriguez mentioned her father's advice to her, and soon after, according to the L.A. Times, Jane The Virgin creator Jennie Snyder Urman rushed to meet the Rodriguez's father and pick his brain for parenting advice. "I want my daughter to turn out like Gina and her sisters," Urman said. Urman wasn't the only one who was taken by the fatherly advice Rodriguez shared. The Internet went wild with tears and "aww"s over the actress' speech. Now, Rodriguez will share more of her father's wise words in I Can And I Will.